Animal science provides a strong foundation in animal nutrition, reproduction, genetics and physiology, preparing students for careers in animal agriculture or further studies in veterinary medicine or graduate school. Students choose from a wide array of electives, delving into topics ranging from animal health and management practices to agriculture and food policy. 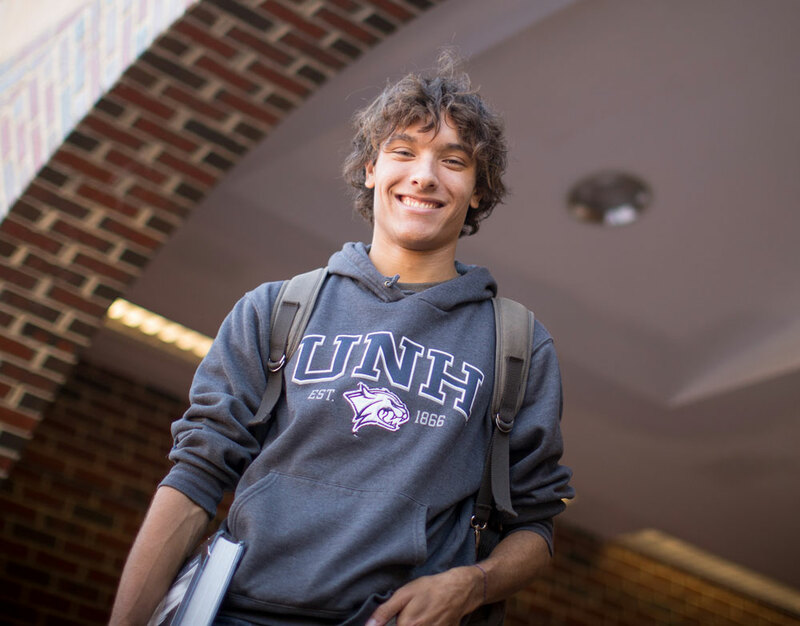 Why study animal science at UNH? UNH offers a range of hands-on, real-world experience through campus facilities that include the Fairchild Dairy Teaching and Research Center, the Lou & Lutza Smith Equine Center, the Organic Dairy Research Farm, the Aquaculture Research Center, the Ritzman Aquaculture Facility and the new high tunnel for poultry and small ruminants. We also offer an exceptional level of support through the College of Life Sciences and Agriculture’s St. Martin Career Exploration Office. This well-rounded student from Boston is will be graduating with her associate’s degree in Veterinary Technology in May and entering COLSA's four-year Animal Science program in the fall. Ashley Bruns '19 believes in the value of goals. "Set goals for yourself," she says. "And when you achieve them, set more." The Animal Science B.S. is designed for students interested in animal agriculture. 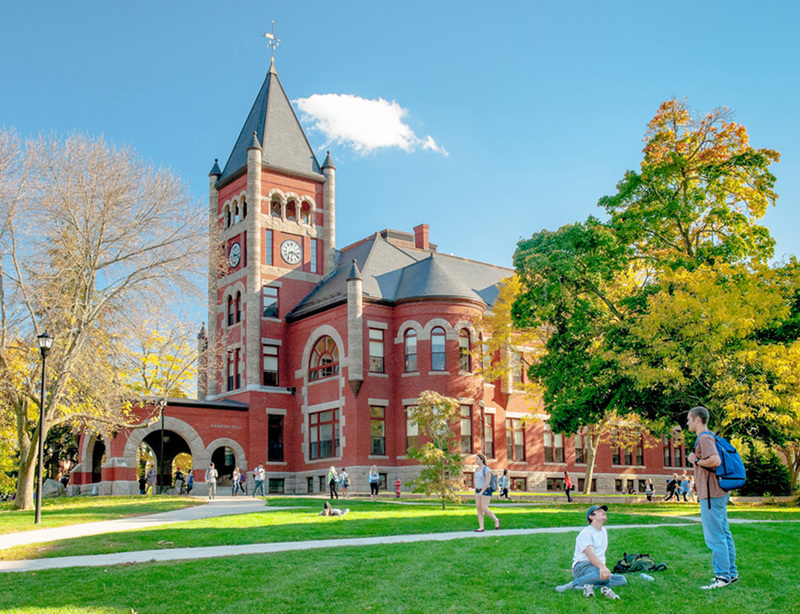 Students who are considering continuing their studies through graduate school are advised to take the recommended additional courses in Chemistry, Math and Physics. The Animal Science B.S. is one of many pathways for admission to veterinary school. Because admission to veterinary school is highly competitive due to the limited number of available spaces and the high standards for admission, students are advised to choose an academic program that deeply interests them. Simply taking the prerequisite courses required by veterinary schools without considering alternate career goals is not advisable. Students interested in graduate school should take 2 semesters of Organic Chemistry (CHEM 651/CHEM 653 and CHEM 652/CHEM 654) and one semester of General Biochemistry (BMCB 658/BMCB 659) in place of BMCB 501. Two courses must be selected at the 500 level or above. For classes less than 3 credits, 2 must be taken together to count as 1 elective. The capstone requirement must be completed during the senior year, and may be satisfied through a course (e.g., ANSC 698 Cooperative for Real Education in Agricultural Management (CREAM), ANSC 728 Advanced Dairy Management II, ANSC 750 Collaborative Farm Design and Development, or ANSC 799 Honors Senior Thesis), created work, product, or some form of experiential learning (e.g., mentored research projects, and other special student activities). Students will be required to earn a C- or better in all required courses for the animal science major to receive credit toward graduation. Students failing to do this will need to retake the course in order to receive credit. Students interested in veterinary medicine should consult the pre-veterinary medicine program website. UNH PEEP, the Poultry Experiential Education Program, provides students with real-world experience and knowledge in poultry production and management. Through classroom discussions and weekly laboratories, students learn about poultry anatomy and physiology, management practices, biosecurity, diseases, food safety, and much more. They are able to immediately apply this knowledge as they work together to raise a small broiler poultry flock over the course of a semester. PEEP was started in the Fall of 2018 and is currently associated with the ANSC 605 Poultry Production and Health Management course.